Inspired by the Red Eye Tree Frog, FootJoy’s FreeStyle golf shoes takes a giant leap in creating better stability and comfort for every player. FootJoy has always been one of those brands that loves to push the boundaries of performance clothing and footwear, with the company’s last two releases offering up an excellent mix of new tech and old-school capabilities. Two years ago there was DNA (DryJoys Next Advancement) – a golf shoe which found great success by effortlessly blending a sleek athletic look with top of the line technology. And then last year we were treated to HyperFlex – marking a real shift towards the trainer shoe. The look was startling in its boldness, with bright colours and contours, all of which helped it achieve excellent reviews. However, if the HyperFlex shoe was too much to handle looks-wise, then the new FreeStyle shoes will have jaws dropping. Before making a judgement based solely on the spectacular colour scheme, players should look to the fact FootJoy never introduces a new range just for cheap pops over its jazzy colours and bold designs. In fact, there’s a really interesting story behind this latest golf shoe and it involves frogs. FreeStyle is inspired by the Red Eye Tree Frog, an amphibian native to the South American rainforest. 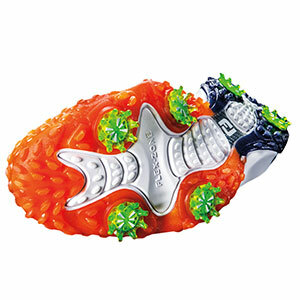 They have suction-like cups on their feet which allows it to maintain traction and control across virtually any surface. This – maybe most importantly – helps golfers move more freely through the golf swing, thus gaining them more power on every shot. 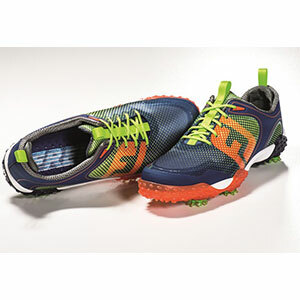 FootJoy has certainly taken a risk with these shoes, but their comfort is abundantly clear and so is the traction underfoot. The market leading brand for golf shoes looks to have pulled off another incredible coup with FreeStyle. Other notable points include an outer featuring new translucent cleats for added traction. A midsole with new fine-tune foam cushioning ((FTFTM 3.0) which is FootJoy’s softest and most comfortable to date), New midsole compound and design that allows for greater flexibility while no internal shank (the shank is usually part of the structure between the insole and outsole) encourages maximum freedom of movement. The upper has technology to keep the foot securely in place which can be enhanced further with the BOA lacing option. The FootJoy FreeStyle golf shoes will be available at American Golf soon, so keep checking back for updates on this exciting product release.